Technical Note - What's Good About Allegro AMS New Advanced Options? They’re in the 16.6 Release! What's Good About Allegro AMS New Advanced Options? They’re in the 16.6 Release! The Allegro AMS Simulator (analog/mixed-signal) 16.6 release adds several enhancements to the Advanced Options dialog form. This enables the customizability of a PSpice simulation run, including control over convergence homotopy options, making worst-case analysis independent of RELTOL and enabling auto-convergence automatically in case of convergence failure. 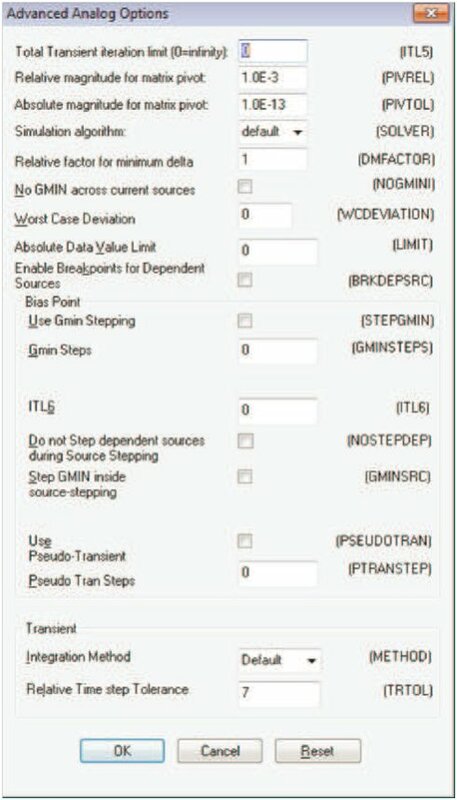 These options do not change the core behavior of the simulator, but provide the designer new ways to control the behavior at different simulation points.